The Lead Shed carries a full line of firearms serving Northwest Ohio’s needs. We stock well over 300 guns and are able to order any item you wish including Benelli and Kimber. We are an outlet for Tony’s custom uppers and stock a variety of them. We offer CCW Courses and other advanced training courses. 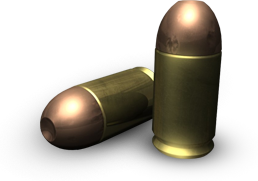 We also carry a large variety of accessories, ammunition, and safes. As reloading supplies become available, we also plan to stock a full line of powder, primers, dies, and reloaders. Our goal is to bring Wauseon and the surrounding communities a full service gun store with the hopes of adding a range! What sets The Lead Shed apart? Stop in and see for yourself! The first thing that you will notice is a greeting at the door. We take great pride in providing our customers with friendly and professional service. Whether you’re just stopping in to browse or you know exactly what you want, we will go out of our way to show you our selection and answer any questions that you may have. In the end, bring it in. We buy, sell, and trade!